I'm normally very happy to read a Jennifer Weiner book, I've read quite a few in the past and loved them, but unfortunately this one has left me flat. There were lots of promising threads in it, some potentially very interesting storylines, but I felt they weren't really examined in depth. Unfortunately I also found Rachel and Andy (to a less extent) were slightly exaggerated stereotypes, especially in most of their teenage and young adult feelings and meetings with each other. Rachel is without a doubt a sheltered Jewish Princess, and having met loads of those in real life, I know they just rub me up the wrong way. There are of course good reasons for Rachel to act that way, but apart from a very touching section when she was 8 years old, most of the time you forget about her childhood ill health, and taking her as she is was really annoying. Andy on the other hand is a child that doesn't fit in due to his race. He lives in a poor part of the country, with a single mom and after getting into a bit of trouble as a child, discovers he has a real talent and passion for athletics. 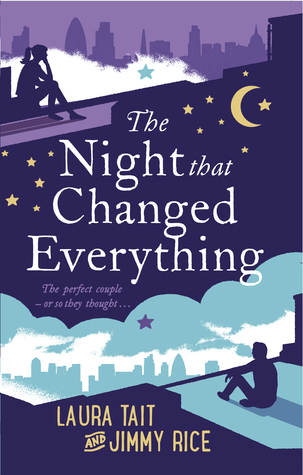 From Rachel and Andy's first meeting as 8 year olds, you can't help but feel there is something special between them, and as the book progresses, you see them a at various stages of their lives and greater relationship, always thinking of the other, and I found myself getting frustrated that the second things were getting good, one or other would mess up and it would be back to square one. The story is told, in chronological order, with the viewpoint alternating between Rachel and Andy. I found Andy's story a lot more interesting and he had some very interesting decisions to make. I thought Rachel just seemed to go along with things for an easier life, and in some of the scenes, I could either see myself, or various friends and family in her. Although I thought Rachel may be quite stereotypical, there were still elements in her I really liked, and thought she had a very big and kind heart, who truly cares about other people. Andy on the other hand really just grew on me although towards the end I really felt like shouting at one specific moment (which is quite topical in recent years, and potentially be very topical by the time the Olympics rolls around). The story was nicely written, it kept flowing even if I thought some of the sections should have perhaps been fleshed out more, while others could have possibly been a bit sharper. 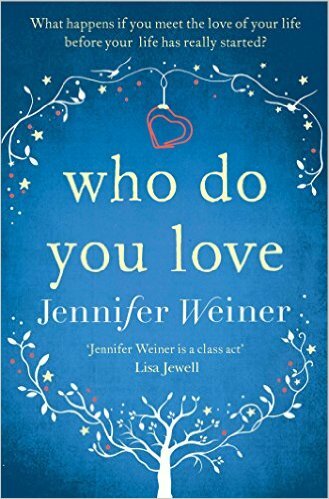 Unfortunately I don't think its the best book Jennifer Weiner has written, but I will be looking on in interest at her next release. Thanks to Netgalley and Simon & Schuster for this review copy. This was my honest opinion. Thank you to Pan MacMillan and Netgalley for this review copy. This was my honest opinion. I write everything from a daily journal to short stories, letters to the editor (rarely sent), poetry, and novels. I like trying different things. 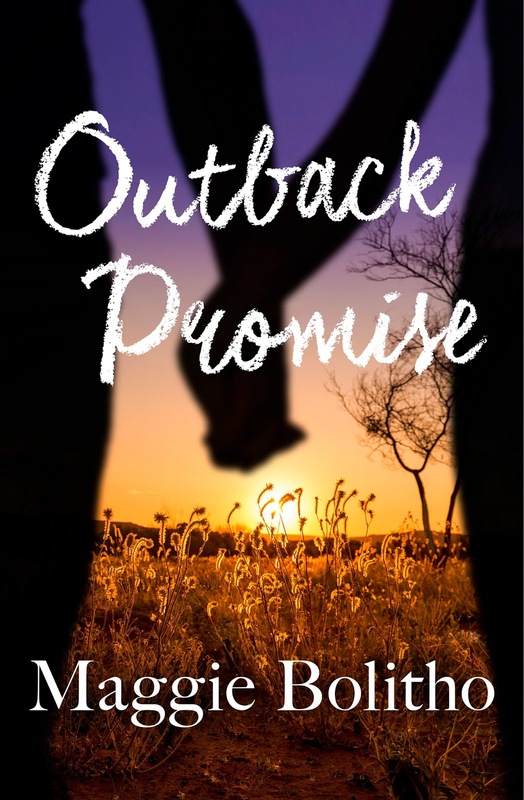 My latest novel, Outback Promise, is contemporary fiction that examines a relationship shaken by tragedy. I’m omnivorous as a writer and a reader. I like to read books that capture my imagination. What I’m reading seeps into my writing so I look for books that will improve my process in leading by example. I’ll read anything that is well written with strong characters and a good pace. How do you approach starting a new book? The only consistent element is a brand new folder on my laptop named with the working title. This will quickly be filled with many drafts and other folders (such as research, continuity schedules, images etc.) I also keep a physical notebook for each novel. I collect pictures of characters or events that might inform my story and stick them in there. A physical notebook is also handy for when the computer is shut down. First I try to check and update my social media accounts without losing a couple of hours. Next I carve out time for exercises like free writing, copy typing and reading books on the craft of writing. Some days the narrative pulls me straight to the keyboard and all those good intentions go out the window. In 2015 I returned to Australia for five months. That forced me to do my editing for HarperCollins while travelling. My working process changed every day as we moved from place to place. 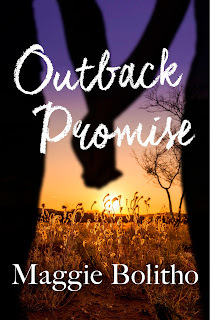 In the end I sent Outback Promise in its final form back to Harper Collins from Perth in Western Australia. I had started work on the edits on Kangaroo Island, a month and 3,000 kilometers earlier. What are your non-writing hobbies, or what do you do to relax? I relax with a good book or two. I carry a small library on my phone so I’m never without something to read. I love hiking and long walks, particularly because I like to be close to nature. I’m the volunteer treasurer of the Lynn Valley Literary Society (North Vancouver) which involves a fair bit of behind the scenes administrative work. That’s not relaxing but it feels like an important thing to do because the LVLS hosts the Young Writers’ Club. The YWC offers workshops for youths from aged 11 to 18 who are interested in writing. The ability to thrall the masses. I’d persuade people to celebrate literacy, kindness, and recycling. Tell us something that isn’t commonly known about you. I’m a keen animal lover, beyond just kittens, puppies, and baby goats. For ten years while I lived in Sydney Australia, I was sponsored the fruit bats at the Taronga Zoo. Spiders don’t worry me much, although I prefer that they stay outdoors. I’m even fond of reptiles as you can see by this author picture where a lovely olive python is draped around my neck. After losing their only child, Roslyn and Grady Balfour's lives are destroyed, shattering their perfect marriage. When Ros discovers Grady's infidelity, it sets their love on a destructive downward spiral. Grady hopes that three months together camping will rekindle what was lost so long ago. Excerpt - Read the opening lines here. A free range child, Maggie Bolitho grew up on an island in Canada’s Pacific Northwest. She spent her formative years constructing alternative universes, flying under the radar, and wishing for 20/20 vision. She set out to see the world shortly after her 17th birthday. Eventually she met and fell in love with a wild colonial boy. After five years of futile resistance, she moved to Melbourne, Australia and married him. In 2007, Maggie and her husband made Canada their permanent home. They now live in a leafy suburb on the island where Maggie grew up. Most of the time they are perfectly happy there, although sometimes they long for the sunburnt country. While living Down Under, she started writing fiction. Some of her adult short stories appear in different anthologies in the US, Canada, and Australia. She has had poetry published in Quills Canadian Poetry magazine. Maggie has studied with award-winning Canadian authors Pearl Luke, Kathy Page, Fran Bourassa and Robin Stevenson. From 2012 to 2014, she led the North Vancouver Young Writers’ Club. Her debut novel Lockdown (YA) was published in 2014 by Great Plains Teen Fiction (Winnipeg, Canada). Her contemporary novel Outback Promise was published by HarperCollins Australia in 2015. Thank you to Maggie for this lovely and informative Q&A. Outback Promise looks great and I wish you a lot of luck with it. When Susan moves to Birmingham in search of a fresh start she’s unprepared for the challenges she’ll have to face. Her new next-door neighbour Craig thinks he’s more than ready for life but has yet to learn that the best laid plans have a habit of going awry. They’re not friends. Yet. But many things can change during a walk through a park, or over tea and cake in a café. 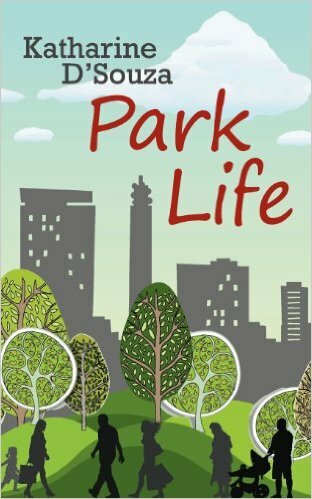 Sharply observed, poignant and funny, Park Life will get you thinking about what it means to be a good neighbour. Park Life was really two quite separate stories, which ran in parallel to each other, with only thing the characters having in common is that they are next-door neighbours. Craig is in his mid twenties, and gets a bit of a shock when his ex girlfriend gets in touch. He also seems to be having issues at work, and is just trying to be the best person he can be. Susan has moved into central Birmingham having left her controlling husband, and her son who seems to treat her like a doormat. Susan had been plotting her escape for a while and is looking forward to her new life. She gets a job in Tall Trees Cafe and it's the real start of her reclaiming the rest of her life. Of course nothing runs smoothly for Craig or Susan, and they did occasionally have a dinner together, or a chat in their hallway, and it felt as though there was a fledgling friendship forming. I quite liked the writing style that Katharine D'Souza uses, and the alternating viewpoints between Craig and Susan meant that if you were getting a bit fed up with one character, if wasn't long until you were back with the other. However in my case I enjoyed both of their stories equally, even if I didn't agree with all of the their decisions. Park Life is set in Birmingham, and during the book you will be treated to some of the various hidden parks in and around Birmingham I loved seeing small pockets of greenery in a clearly urban city. Thank you to Katharine D'Souza for this review copy. This was my honest opinion. Literary agent Libby Holmes is desperate for her boyfriend, Toby, to propose to her and will do anything for him and if that means dieting for England over Christmas then she ll have a go. 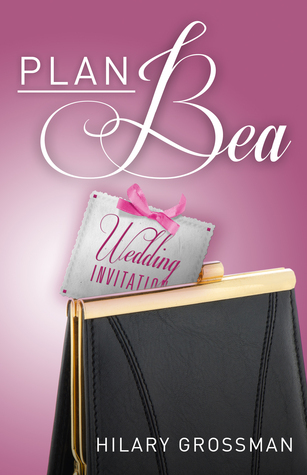 However, when Libby's boss introduces her to her new client, Alex Bryant, her life is turned upside down. Alex Bryant, ex-SAS officer and British hero, insists Libby accompany him abroad for a book fair. Libby finds herself in the middle of an uprising with only Alex Bryant to protect her, that is, until Toby flies out to win back her affections. Come with Libby on her romantic comedy adventure to see if love blossoms in the warm Cambodian sunshine or if, in the heat of the day, emotions get just too hot to handle. I literally haven't got the faintest idea of what I think of this book. I have gone from hating it in places, to being completely absorbed, to finding it exciting and unputdownable at points. In some places its incredibly funny, and others it has a real political feel to it, that for someone with a lack of interest in foreign politics, found very confusing. 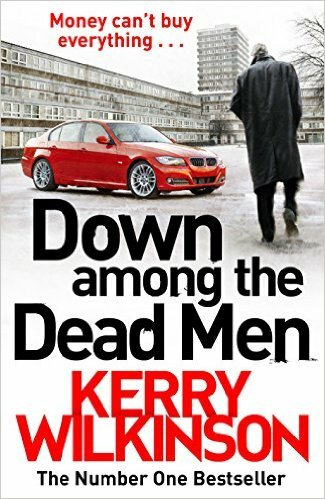 There is no denying that it has been very well written, it definitely flows and in some places there are some laugh out loud jokes, and for that reason alone it deserves the four stars I'm giving it. Libby Holmes takes some getting used to, in the first bit she is uttering every thought she has, and I was getting a bid fed up with her ranting about food, calories, dieting etc... and then there is a scene that involves a bit to much information about the movement of a female hygiene product (which may make men want to put the book down completely) and once Libby and Alex are on a flight to Cambodia I started to get into the swing of things. Libby's first meeting with Alex is amusing and her tell it like it is persona, leads to her calling him some choice names, before learning that she will be his new agent and expected to work alongside him with his new book launch. Libby though already has a boyfriend Toby, who she suspects is cheating, and she seems gutless to deal with the Toby situation at all. I despised and hated Toby, who is an ignorant homophobe, and later in the book just showed what a despicable, spineless toad of a man he is. The complete opposite in fact to Alex. Alex's fiancee Penny is a prima donna who even in time of crisis is more interested in her public persona, appearance, and if the press are interested than anyone's safety. I really didn't like her either. Cambodia, during a time of political unrest is certainly a different location for a book, but unfortunately this isn't the sort of story where sight seeing or getting a feel for the tourist side of the country was a focus. Instead you are thrown into potentially life threatening situations for Libby and Alex, and they need to learn to trust each other fast. The adventure elements of the book definitely held my interest and were really enjoyable to read, as was the general sense of humor in the story. Even Libby's personality which grated on me at the start became more enjoyable as I got to know her, and her reactions to certain situations. I just wanted to shake her for how she let Toby treat her, and her incapability to stand up for herself. As for the title, let's just say there are some imaginative uses for a wonderbra in the book, and hearing Alex tell Libby to take of her bra, while she's on the phone to someone else are moments I'll definitely remember. Definitely think this is the sort of book that you possibly shouldn't take anyone's word for, and just try it and see for yourself, as there are so many elements to it, you will probably have a very different reading experience to me. 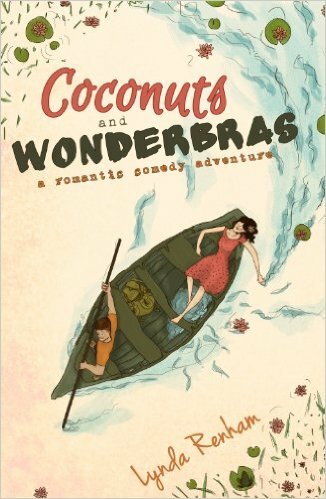 Thank you to everyone who voted for Coconuts and Wonderbras, it was an inspired choice and I'm really glad I have now read it. Please do take a look at this week's vote and have your say again. I love reading all the comments and seeing what will win. Was an interesting winner this week, I'm glad you voted for it as I really did need to read it at some point, but I still have very mixed feeling about the book. If you haven't seen the review yet please do take a look, as it may explain my thoughts a bit more. 76 - In A Moment by Caroline Finnerty - I'm a huge admirer of Caroline Finnerty's books so am curious to see what this one is about. If I was predicting this I think it will be close between two specific books, but my heart is with one of the others. Very curious to see what will win as always. I really enjoyed this debut novel from Jan Birley, its definitely chick lit but it has quite a bit more depth to it than the average story. Rosy's life is thrown into turmoil many times during the story, the first of which is when she sees her husband collapse and die, on the tube, on the morning commute. Leaving behind Rosy and her two teenage boys, Rosy soon discovers she didn't really know her husband at all. The first surprise and only because it is mentioned within the first 10% of the book, and I can't really review with out mentioning it, was that Simon had bought an Alpaca farm in Dorset, which is mortgaged to the hilt with a bank account Rosy had no knowledge of. Obviously you don't tend to come across Alpaca farms in most books and from that point of view, I found all mentions of these impressive sounding creatures to be very interesting, and I wanted to know how Rosy would cope with the knowledge she was now responsible for a herd of Alpaca. However that is not the only revelation that Simon's death brings, and the shocks keep on coming, keeping Rosy's family and the reader on their toes. I found myself really drawn into the Bennett family and their various problems, and seeing how they were coping with them. Also really enjoyed reading about Rosy's two main support people, her sister and her best friend, who did have differing opinions at times, but clearly just wanted what was best for Rosy. 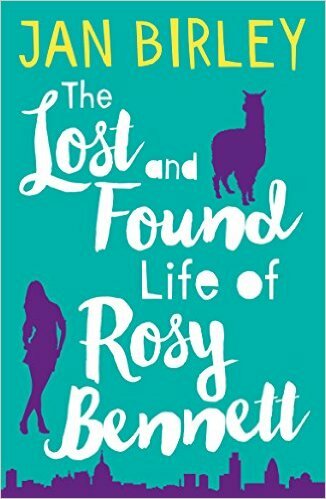 If you like stories with children and animals taking centre stage a lot of the time, then I think you will love The Lost and Found Life of Rosy Bennett. Thank you to Jan Birley for this review copy. This was my honest opinion. Happy Easter everyone! I have a special treat for you all today, my queen of the romantic trilogy Sarah Morgan, has a guest post for you all to enjoy. From Manhattan with Love series! SLEEPLESS IN MANHATTAN is the first book in a trilogy about three best friends. Paige, Frankie and Eva work together for an events company in Manhattan. Life seems to be going their way - until the day they lose their jobs. With no warning, they’re out of work. Reeling with shock, they look for a solution and decide they’re not going to put their future in anyone else’s hands again. They each have their own specific talents, so they decide to combine them and form their own company, Urban Genie (‘your wish is our command’) offering event and concierge services for people who are cash rich and time poor. As they tackle this new challenge, the three friends discover that sometimes the worst thing that happens to you can turn out to be the best…! I absolutely adored writing this series – New York is one of my favourite places in the world, I love how energetic, romantic and iconic it is, and I’m so excited to be writing a whole trilogy set there! So I did a lot of research. By which I mean I spent a lot of time on Pinterest (obviously! ), Instagram (of course!) and even had a ‘research’ trip to New York in the summer. It’s a hard job, but someone has to do it…! Each book follows one of the girls as they work through setting up Urban Genie and navigate life in the hustle and bustle of Manhattan. And of course it wouldn’t be a true New York fairy tale if there wasn’t a little falling in love along the way! In Sleepless in Manhattan we meet Paige – cool, competent, brave and completely hung up on Jake Romano, her brother Matt’s best friend. Paige and Jake met when they were teenagers and she immediately fell for his rough exterior and hidden nurturing side. Now both adults and forced to work together on setting up Urban Genie, Paige and Matt can barely stop the attraction from flowing between them - it is positively electric! Sunset in Central Park is out in July and features tough cookie Frankie and Paige’s brother Matt. Frankie has dealt with her mother’s rollercoaster romances all her life and it’s made her quite reluctant to love. Matt has always been the only man she feels she can trust – but he’s always wanted more. I can’t wait for you to see how their story develops on top of gorgeous New York rooftops. It’s seriously romantic! And speaking of romantic, bubbly and ever the optimist Eva rounds out our trio of Manhattan girls. She’s the best friend who is always there to cheer you up, bring over some ice cream, and force you to watch your favourite romcom until the tears subside. She knows true love exists – but it is taking its sweet time to find her! In Miracle on 5th Avenue, Eva meets surly-yet gorgeous Lucas in what is a true holiday romance. I really hope you enjoy this new trilogy! For all your New York inspiration, visit my Pinterest and Instagram pages. 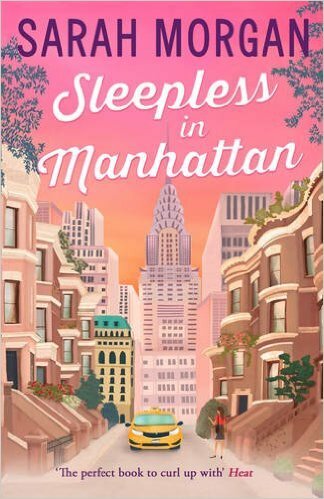 And don’t forget your copy of Sleepless in Manhattan, out now! 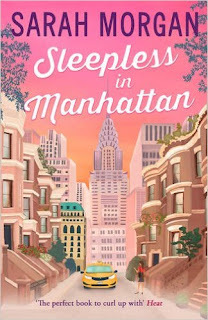 Thank you so much for coming over to Rachel's Random Reads today Sarah, I absolutely loved Sleepless in Mahattan and this is just making me very excited for the next books in the series. I am of course completely envious of your research trip, and if you ever need an assistant on a future trip, I would like to volunteer my services. I hope everyone has a very Happy Easter, and doesn't get too ill from all the chocolate! My first impressions of this book, once I started reading it, was just how comfortable I felt reading it. There is something about the writing partnership of Laura Tait and Jimmy Rice, that just works, and with them telling the story in alternating chapters and view points, the book just works seamlessly. I wouldn't say its a spectacular story or anything, and in some respects from the first half the book it does feel familiar, but in the same way I was growing to love the characters and the way it was being told. Rebecca and Ben seem like the perfect couple, and initially it looks like they are, until one revelation leaves them reeling, and having to rethink everything. Over the course of the book, they both undergo various changes and the ending wasn't quite what I would have predicted, or hoped for, but it worked. Thank you to Netgalley and Transworld for this review copy. This was my honest opinion. Prior to my novel, Crazy Over You, being released a fellow Matador author told me publishing a book is like giving birth, you focus so hard on aiming for the birth you forget that’s when the hard work begins. They weren’t wrong. Reaching publication and holding your first book in your hands is a huge achievement. But after you have stared at it for long enough and stopped grinning at it, it is time to think how to get it into other people’s hands. You want readers and not just your friends and family. Having an author platform is spoken about a lot and it is undoubtedly invaluable for encouraging pre-orders (lifting you in rankings as your book comes out) and future sales. Ideally this should be built some time before your book is actually out, but in reality this is not always achieved. Facebook is a good place to start. Having a dedicated page, allows people to follow you and for you to start building a buzz about you as a writer and your book/s. Twitter enables you to reach people beyond your usual circle. Follow other writers and those people who may be your future readers, the chances are they will follow back. Use hash tags such as #amwriting and those relating to your book, such as #romancenovel. Avoid doing too many “buy my book” type tweets. Aim to be interested in others and interesting yourself. Create a professional looking website that enables people to learn more about you and your writing. Establish your brand by creating a banner that reflects your book covers and displaying it across your website, Facebook and Twitter pages. From your website you should also, ideally, encourage people to sign up to your newsletter or blog (still a work in progress for me). Begin to get reviews for your book, research book bloggers who enjoy your genre. Follow them on Twitter, read their blog and follow their review policy. Make your request personal – maybe offer an interview or guest blog post. Don’t hassle them; almost all book bloggers are doing it in their spare time because they love books. Once you have a review be grateful, add it to your website and link to it from your own social media. Contact local bookshops, visit with a copy of your book (at a time convenient to them) and ask if they would stock it. If they do, show your gratitude by encouraging buyers to their shop. Promote it to local magazines (they will do articles on you or reviews on your book if you contact them with a local connection); mention it on Facebook and tweet about it. Events can be tricky as without being a big name it can be hard to attract people. Attend some by other authors to see what works and to see what might work for you. There is safety in numbers, so working with fellow authors can be of benefit. I met the Chindi, Chichester Independent Authors, group and have worked with them on promotional events. We have monthly meetings and a private forum (where we share ideas) as well as our public pages http://www.chindi-authors.co.uk. Obviously all these things are just a start and to be built on over time. Most importantly keep writing. Don’t lose focus of your next book, as that will be the force that carries your readers forward with you. And that is where I am at now! Thank you so much for this informative post Carol, and really appreciate the section about book bloggers. I couldn't agree more! Carol Thomas lives on the south coast of England with her husband and four children. She enjoys taking on a challenge and writing her novel, Crazy Over You, while looking after her children and working part-time has proved to be one of her most exciting challenges to date. Carol has taught in the primary sector for fifteen years and works as a copywriter for commercial websites. 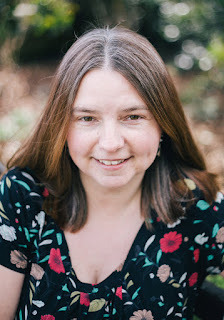 She has a passion for reading, writing and people watching and can often be found loitering in local cafés, drinking too much tea and working on her second novel.